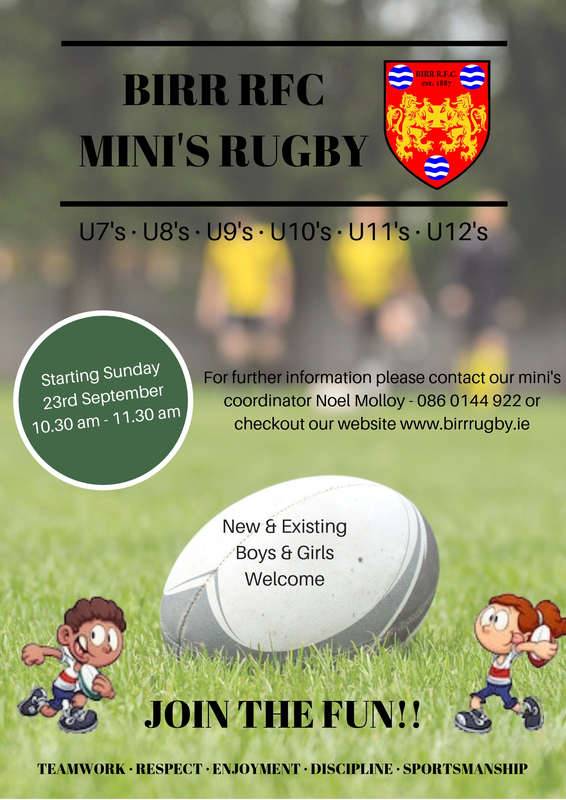 Mini's rugby is starting back Sunday 23rd September from 10.30 - 11.30. 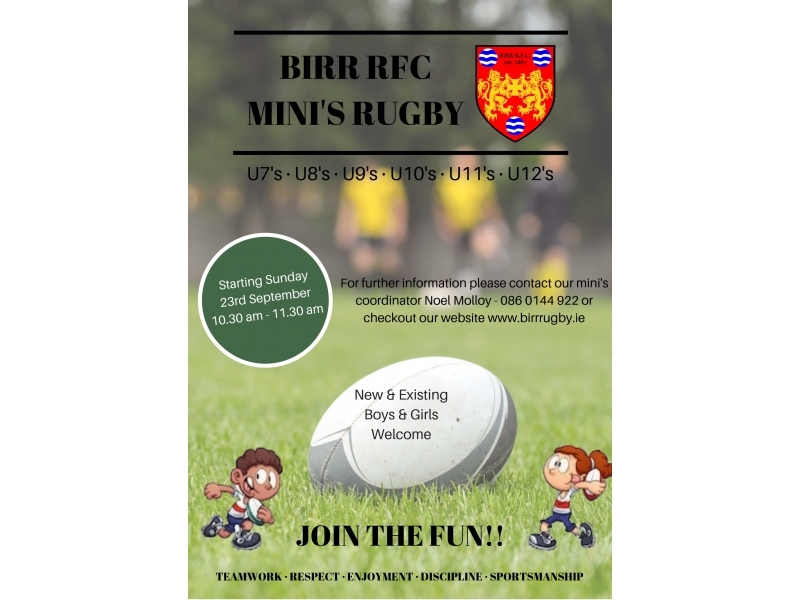 With training for U7's (born 2006) to U12 (born 2012) all new and existing boys and girls are welcome to call down and give it a try! !